Take your IoT solutions to the next level with Azure IoT Edge, a dynamic software platform that delivers cloud services to edge devices, making hybrid cloud and edge IoT solutions a reality. 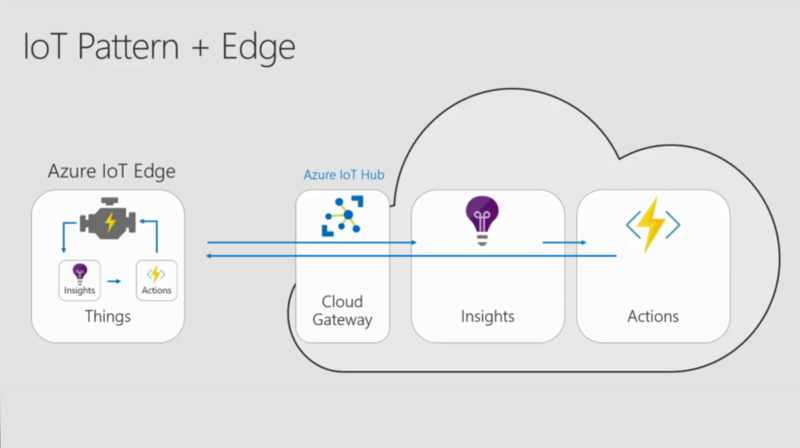 Azure IoT Edge enables easy orchestration between code and services, so they flow seamlessly and securely between the cloud and edge, distributing intelligence across a wide range of IoT devices. Learn more about this new product and how you can be part of the ecosystem.